South by Southwest began as a bunch of garage bands performing in one place in 1987. New York Times bestselling author and now podcaster Neil Strauss thinks that translates pretty well to the podcast world. There was a heavy podcast presence throughout the entire festival. Wyclef Jean appeared on Ross Golan’s podcast “And the Writer Is…” on Thursday, and talked about growing up as an immigrant America. And Erin Lee Carr sat down to answer questions about her new documentary, “I Love You, Now Die: The Commonwealth v. Michelle Carter” with Andrew Jenks. There were close to 50 official events that involved podcasts in one way or another. Strauss appeared on stage with Donald Albright, the president and CEO of Tenderfoot TV, and Christina Cala, a field producer for National Public Radio’s All Things Considered. Strauss said that he had recently made the jump from print journalism to podcasting with his podcast “To Live and Die in LA” while Albright answered questions about the podcasts “Atlanta Monster” and “Up and Vanished” – both of which were successful in bringing awareness to criminal cases in Georgia. In the case of Up and Vanished, the podcast brought so much attention to the missing person case of Tara Grimsted that it was reopened by the Georgia Bureau of Investigation. Two men were arrested, and a trial begins today. If podcasts are indeed the new garage bands, Strauss left the crowd with a mantra that echoed punk rock’s. Because it’s a constantly changing method of storytelling, podcasters are encouraged to step outside the box. 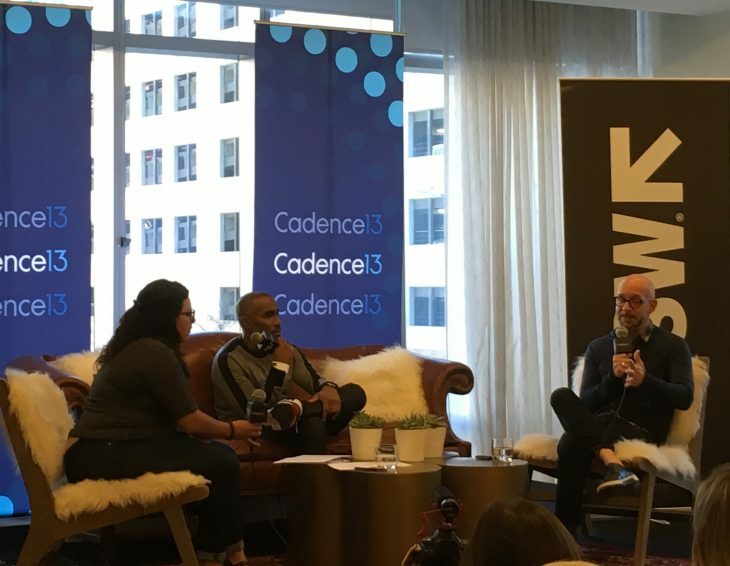 Payne Lindsey – who created “Up and Vanished” because he couldn’t afford to turn the story into documentary – had absolutely no podcasting experience when he began, said Strauss. Some in the industry may have turned their noses up at his unconventional methods, like including interviews with his grandmother in the episodes. But there’s no doubt he had a tremendous impact on the trial that begins today.